William H. “Dink” NeSmith Jr. In 1958, Dink NeSmith was 10 years old and already active in the newspaper business. 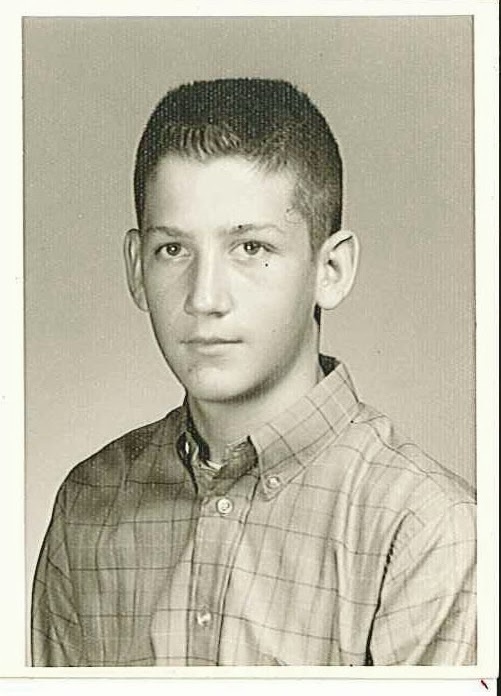 When the 3 o’clock bell rang at Orange Street Elementary School, he would jump on his bike and race seven blocks to the back door of The Jesup Sentinel. There he would buy a stack of the weekly newspapers for a nickel each. Pedaling as fast as he could, he rushed to meet the shift change at the Sea Island Shirt Factory. As the ladies left work, he turned his nickels into dimes before the ink dried on the latest edition of the local news. Fourteen years later, he borrowed $3,000 to make a down payment on one-third interest in Jesup’s competing newspaper, the upstart Wayne County Press. Four years later, he joined Community Newspapers, Inc. in the purchase and consolidation of the two papers to form the twice-weekly, The Press-Sentinel. Today, NeSmith is co-owner and president of Athens-based Community Newspapers, Inc., publisher of more than two dozen newspapers in Georgia, Florida and North Carolina. 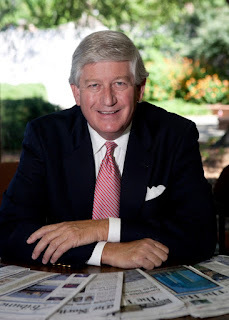 A 1970 graduate of The University of Georgia’s Grady College of Journalism, he is past president of the Georgia Press Association, Leadership Georgia and UGA’s Alumni Association. He has also served as chairman of Grady’s advisory board and president of the college’s alumni association. He is chairman emeritus of the board of directors of the Fanning Leadership Institute. He is past chairman of the Richard B. Russell Foundation and an emeritus member of UGA’s Athletic Association’s board of directors. He’s also an emeritus trustee of the University of Georgia Foundation. In 2008, Gov. Sonny Perdue appointed him to the University System of Georgia’s Board of Regents. In 2013, he was chairman of the Board of Regents, serving as an at-large member. He has served as vice-chairman of the University System of Georgia Foundation and vice-chairman of MCG Health Systems, Inc. He served eight years on the Commission for a New Georgia, as well as a term on Georgia’s Judicial Qualifications Commission. He is a past chairman of the Georgia Telecommunications Commission. In 1996, when the Centennial Olympics came to Georgia, he chaired Athens 96, which coordinated the community’s involvement in soccer, volleyball and rhythmic gymnastics events. Currently, he serves on the board of directors of Athens First Bank and Trust Company, Southern Mutual Insurance Company and Pattillo Construction Company. His wife, Pam, is a 1971 UGA graduate and co-founder of The Bottleworks in Athens, winner of Georgia Trust’s 2002 Preservation Award for Excellence. The old 85,000 square-foot Coca-Cola buildings were converted into a mixed-use complex, including residential, retail and commercial. Today, she is owner of Historic Smithonia Farm, circa 1880, a weddings and events venue, in Oglethorpe County, near Athens. The NeSmiths have three children, all graduates of The University of Georgia: Alan, vice president of Community Newspapers, Inc., publisher of The Northeast Georgian in Cornelia; Emily N. Wilson, of Senoia, and Eric, vice president of Community Newspapers, Inc. The NeSmiths have seven grandsons and a granddaughter.